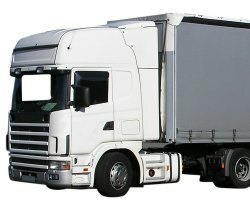 Whatever size of HGV you are looking to insure, whether you are a single vehicle owner or manage a fleet of lorries, we are happy to help. Running an HGV is never cheap but, given the pressure the transportation business has seen on its margins, we understand how important it is to keep insurance premiums at the lowest levels possible. As well as standard rigid or soft side HGVs, our panel of insurers will be delighted to quote for specialist vehicles of any type and in addition can insure fleets of any size. The flexibility the insurance panel we are partnered with offer is immense, as is their industry knowledge, meaning you will be able to discuss in depth your own requirements and find an HGV Insurance policy tailored to your needs. To get the widest choice of quotations simply fill out your details below or alternatively, if you prefer, call for a quote over the phone. Companies able to offer telephone quotations include Autonet (0800 080 5295 quoting reference 9032) or Insurance Choice (0843 2270120). HGV Insurance comes in many shapes and sizes (not surprising given the range of vehicles and uses you will find they are put too). Do therefore take a few minutes out to consider your specific needs. That way you can help avoid buying unnecessary cover you don't really need or extend your policy at a later date when you find you are not covered for a risk you really require. Some of the following may be worth considering: * Will you use your HGV(s) for haulage or just to transport your own goods? * Restricting usage to named drivers to drivers over say 25 or 30 can reduce premiums. Can you do this? * Do you need trailer cover? * Will you need Goods in Transit cover * Do you make journeys into Europe or can you restrict usage to the UK? * Does your HGV have a Tracker fitted? * Can you get a discount for a Datatag? * If you are a member of a trade body can your policy costs be reduced? * Do you need policy upgrades such as Goods in Transit cover or Uninsured Loss Cover? Will you need a replacement vehicle if your lorry is off the road? Decide whether you want Comprehensive, Third Party Fire & Theft or Third Party only cover when taking a policy, but do check out the saving you are making if opting for a Third Party policy - often they are surprisingly small.